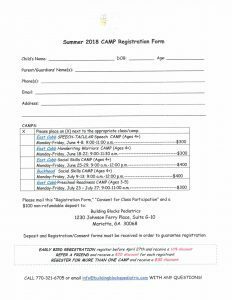 2019 Summer Camp Dates Released! 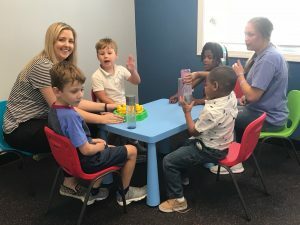 Building Blocks Pediatrics Offers Annual Summer Camps for children in Atlanta held at our Marietta/Buckhead locations. All Camps led by registered and licensed therapists. Maximum of 5:1, child: therapist/teacher ratio. 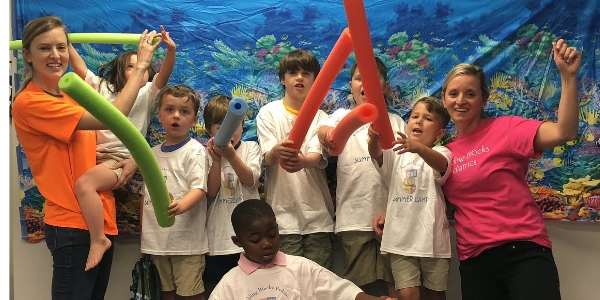 “SPEECH-TACULAR” Speech Camp (Ages 4+) (East Cobb) June 3rd-7th 9:00 a.m.- 11:00 a.m. Give your child the tools for correct speech sound production, while increasing speech intelligibility. Your child will learn correct articulation movements and articulator placement for the sounds s, z, r, l and much more!! This fun and interactive class will give your child the tools for speech success!! Come join us in our “SPEECH-TACULAR” Camp this summer! 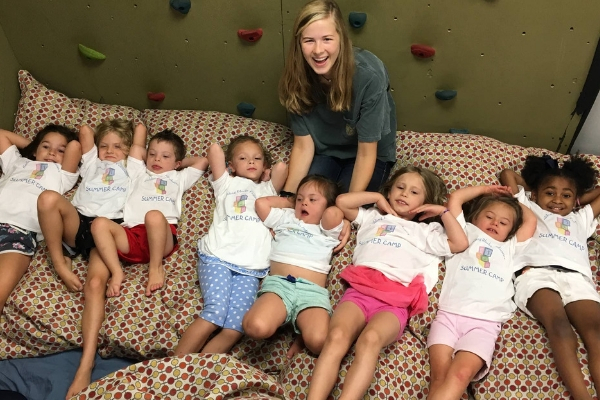 Social Skills CAMP (Ages 4+) (Buckhead) June 24th-June 28th (East Cobb) July 8th-12th; 9:00 a.m. – 12:00 p.m. Your child will learn and practice social skills with his/her peers in a fun and exciting environment! Games and activities incorporating movement, music and learning, will help your child to improve his/her peer interaction and play skills. Children will be broken up according to his/her age and topics addressed will include greeting others, initiating conversations, being a good sport, helping and being polite to others, engaging in conversational speech, recognizing and understanding feelings and emotions, making and keeping friends, engaging others in play, controlling our own bodies, and improving free-time play skills. 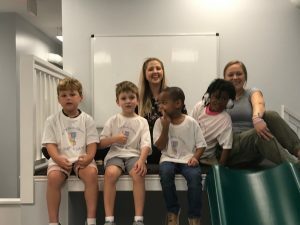 Preschool Readiness CAMP (Ages 3-5) (East Cobb) July 22nd-26th; 9:00 a.m. – 11:00 a.m. 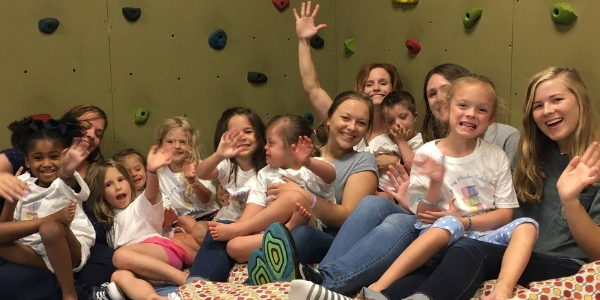 This camp will help your child to transition to his/her preschool setting with ease! 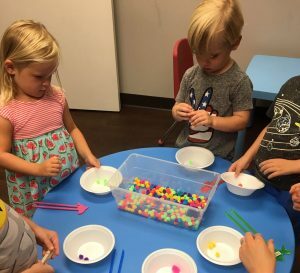 Activities such as circle-time, music, movement and art activities will be used to help your child learn to transition through the preschool day. Skills addressed will include: age-appropriate classroom behavior, attention/focus, fine motor skill development and peer interaction. Give your child the necessary skills for preschool success. Join this fun and exciting class! 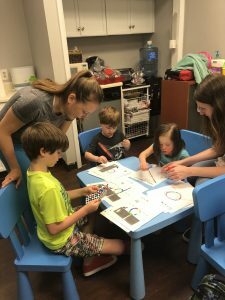 Handwriting Warriors CAMP (Ages 4+) (East Cobb) June 17th-21st; 9:00 a.m. – 11:30 a.m. Handwriting made fun and easy! This intensive, yet fun and exciting program will guide your child through the fundamentals of handwriting! 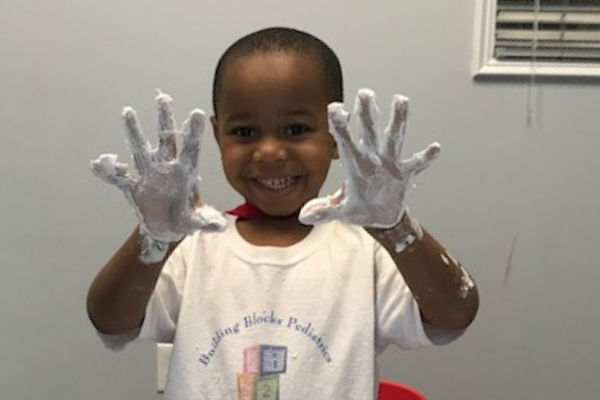 While learning to write lower case letters a-z with correct formation, sizing and spacing, your child will improve his/her pencil grasp, pencil control, finger dexterity and visual spatial skills—all necessary for handwriting legibility that will impress! 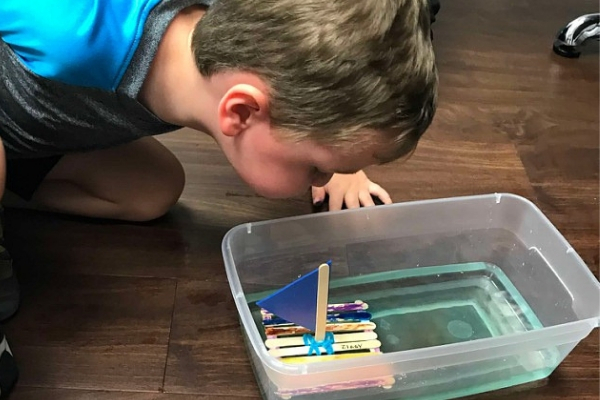 Interactive games and activities will be used to guide your child’s handwriting and to give your child the confidence he/she needs to succeed in the classroom. Why should your child sit at a desk to learn and practice handwriting? Good question! Let your child become a Writing Warrior and conquer the alphabet! Set the stage now for a future of handwriting success!